Model Description: Triple headlights. Motor with flywheel. Drive on six axles. Traction tyres. Interface according to NEM 652 standards for decoder adaptation. Coupler pocket according to NEM 362 standards. To haul fast passenger trains in the highly frequented D-train network, the Deutsche Reichsbahn ordered a total of 55 series 01.10 locomotives in 1939. The big advantage of the express steam locomotive was that it could reach a maximum speed of 140 km/h. 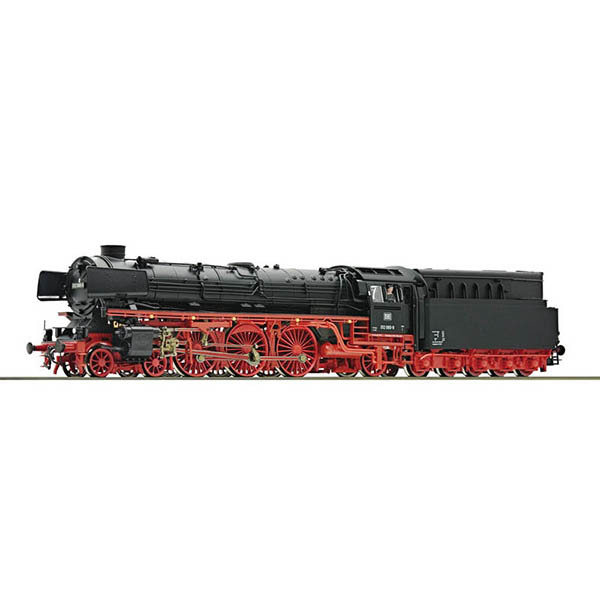 When used with long distance passenger trains, the locomotives were able to keep, even on inclined rail sections, a constant speed of 100 km/ h. During the conversion work at the Deutsche Bundesbahn, oil firing was to be installed and, from 1968 on, the “Iron horses” were designated series 012.